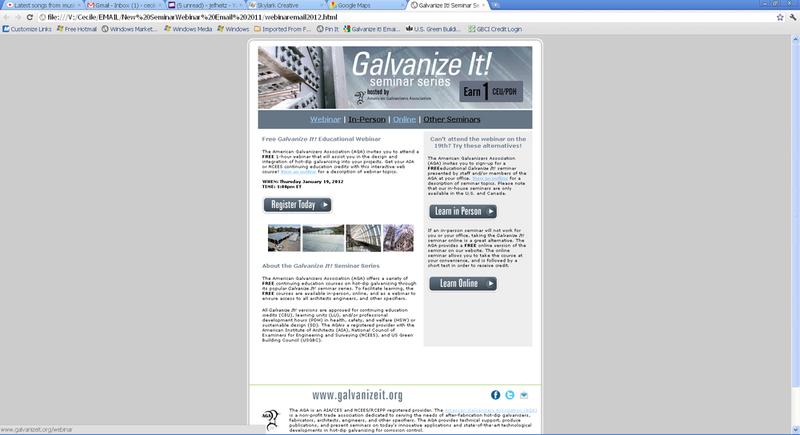 I created this HTML email to promote the Galvanize It! Seminar to architects and engineers across North America. Website colors were incorporated as well as links to other resources.